My little baby has suddenly turned into a wriggly toddler and I’m yearning for the days of swaddling and snuggling in a cosy blanket. Especially as the days are cooling down here in Australia. There’s nothing quite like a swaddled newborn is there? Though our house is not quite ready for another baby, the new season baby blankets from Fine Little Day have me swooning. Not only do they come in stylish, bold prints but they’re made from from eco-conscious organic cotton – perfect for the sensitive skin of a new babe. You can also use them as a stroller cover for napping or a gorgeous blanket for tummy time. My first piece of advice for new mums is that you can never have enough baby blankets. Though, one of my biggest peeves is when they are too small. After my son was born, I got rid half of the blankets I’d bought because they weren’t big enough to swaddle my 4.5kg newborn. Not so with Fine Little Day. 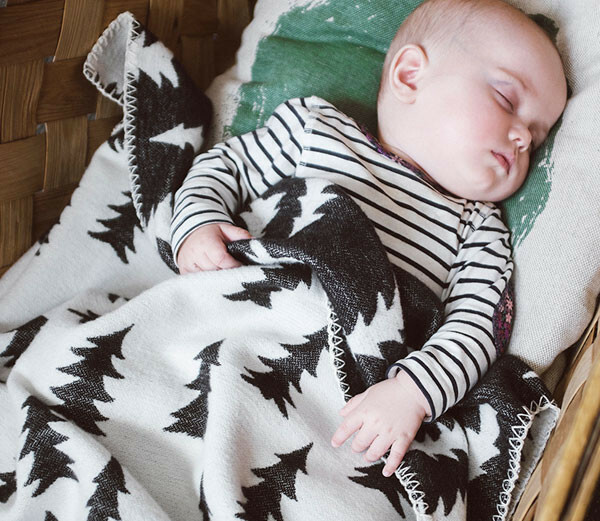 The muslin blankets are generous in size so you can swaddle with ease. When your baby outgrows the need to be wrapped up like a little human burrito, you can use it yourself as a shawl or for the beach. Fine Little Day muslin baby blankets cost €24 direct from Sweden . For something a little warmer, the jacquard woven blankets ($110) are perfect for snuggling and the BU! Blankets ($46) we’ve shown you previously are just plain fun. The BU! makes a great comforting blankie, complete with holes for peekaboo games or your resident thumb sucker. 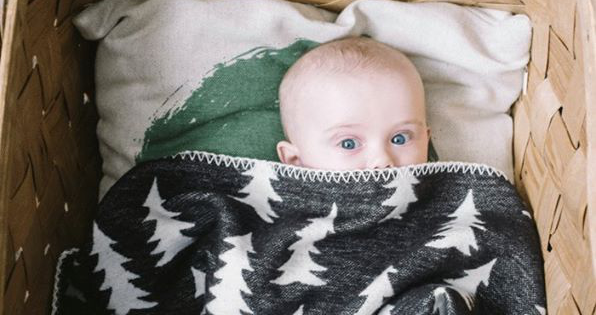 You can find a great range of Fine Little Day blankets and other products here in Australia over at The Bowerbird’s Nest.